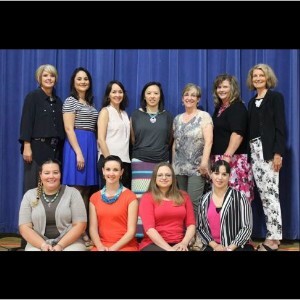 Why work for the Deming Public Schools? A 2014 U.S. Department of Education study found that nearly 20 percent of teachers leave the profession within five years of starting. Our program is designed to support teachers and help them grow through the challenges and difficulties that arise during this period. Teachers participate in monthly workshops taught by our Instructional Coaches. Coaches follow up with feedback and coaching conversations to help teachers implement their learning. 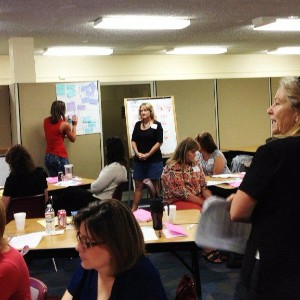 Deming Public Schools believes in "coaching up" our instructional staff. Every school has an instructional coach who focuses on providing support for the instructional staff, especially the new teachers. Click on the title to meet the team! 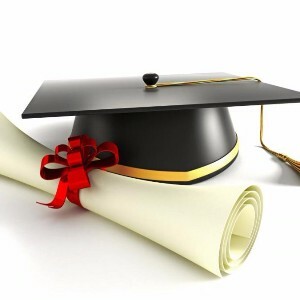 The Deming Public Schools believes in life-long learning and we encourage our staff to pursue higher education. Participants in this program can earn a Masters Degree with all tuition and fees paid for by the school district. 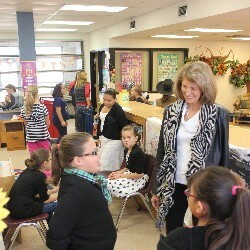 Fourth grade students participate in a "Living Wax Museum." 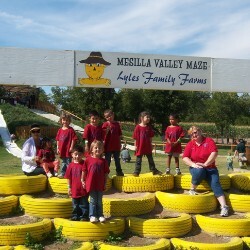 Students from My Little School (PreK) visit an area pumpkin patch. 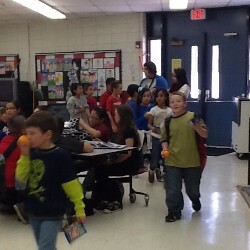 Students get a snack as the after school program gets started. Watch the videos below featuring music ensembles from Deming High School and Red Mountain Middle School. Watch the videos below to get a feel for living in Deming New Mexico.